If there's one game franchise that fans have been desperately waiting for a continuation of, it's Half-Life. Although hopes for Half-Life 3 have been quashed, a VR prequel of the popular game might soon see the light of day. According to the Valve News Network, more references to Half-Life VR have been found, just as GDC is picking up steam. They were discovered in an update to another Valve game, DOTA 2. The specific references are ‘hlvr_weapon_shotgun_prototype’ and ‘SPORE damage’. While the first is self explanatory, spore is associated with material from Half-Life's Xen dimension. In Half-Life Opposing Force, there's even "an improvised biological weapon" called a Spore launcher. Unfortunately, VNN hasn't shown the text or where exactly they discovered it in their video on the subject, but they have been a pretty reliable source of Valve news in the past, so we are inclined to believe them. 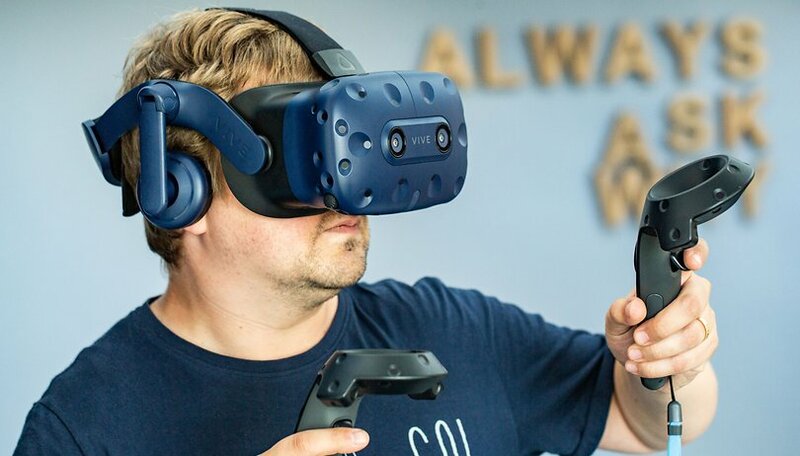 Of course, this isn't the first time that 'hlvr' (Half-Life VR) references have been found in the Bellevue company's products, and yet no Half-Life VR has materialized yet. However, as the 2019 Game Developer Conference is happening this week in San Francisco, the timing of the latest tease is suspicious. It's possible that Valve plans to release its previously rumored VR headset along with a virtual reality prequel of Half-Life. We'll have to wait and see. In the meantime, we'll be following the conference closely and covering all major announcements. What do you think about a possible Half-Life VR game? Let us know in the comments below. Suzana Maam do you like Stock Android or Custom Skins?